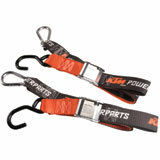 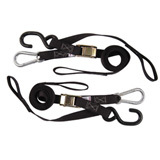 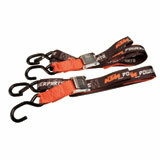 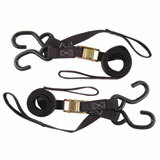 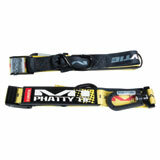 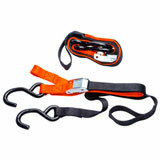 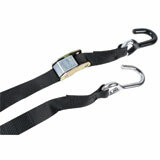 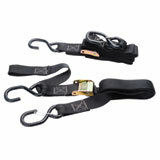 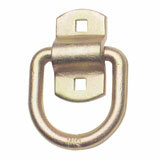 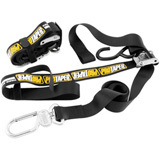 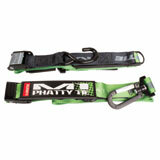 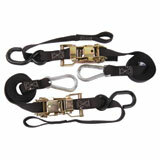 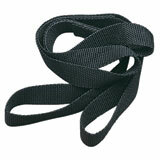 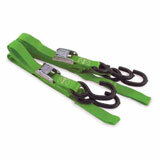 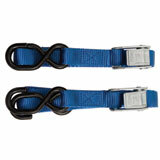 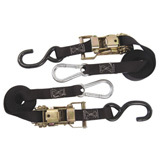 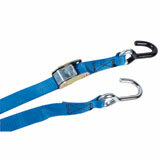 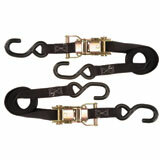 Tie downs available in buckle, ratchet, soft loop and optional carabiner attachments. 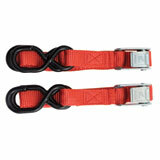 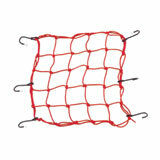 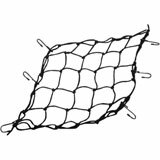 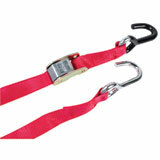 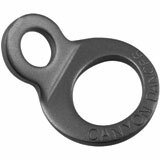 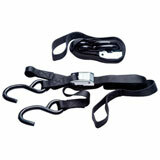 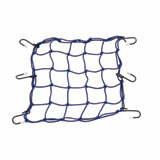 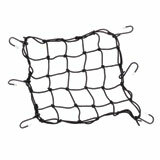 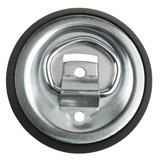 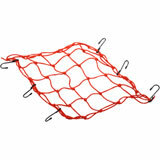 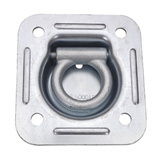 Tie down accessories such as d-rings or helmet/jacket locks are also available. 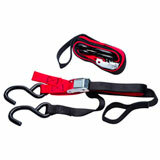 Latest Tie-Downs Reviews – You could win up to $500 for reviewing products! 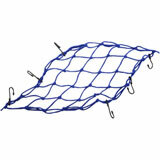 Can’t get any better than ancra!! 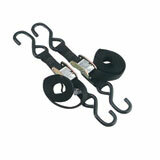 They will last longer than your bike. 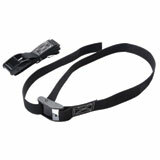 Buy them on sale! 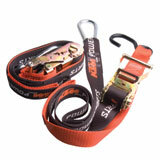 Work great and very durable. 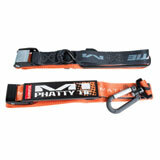 All around great buy regardless. 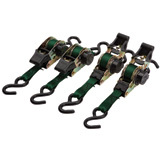 These are very strong and durable tie downs. 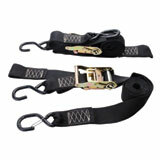 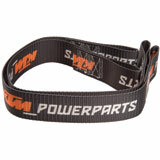 The strap is very thick and can handle probably any weight atv. 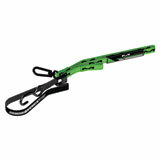 I did however, have to cut the rubber off the hooks to fit my handlebar. The clearance was too tight against parts of the bike. 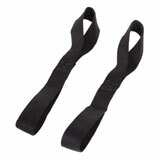 I was very happy with the Straps, I used them for my Harley Street Glide they worked great I used them for a 600 mile trip no problems easy to use and you can not beet the price. 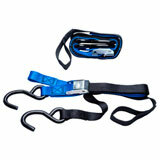 A must have if you travel with your bike! 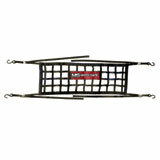 Great product, I use these on all my bikes. 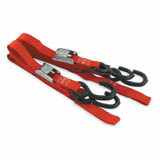 Super handy for hauling. 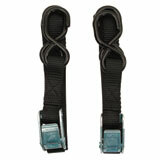 No more scratched handulbars and saves the vibration eliminators.